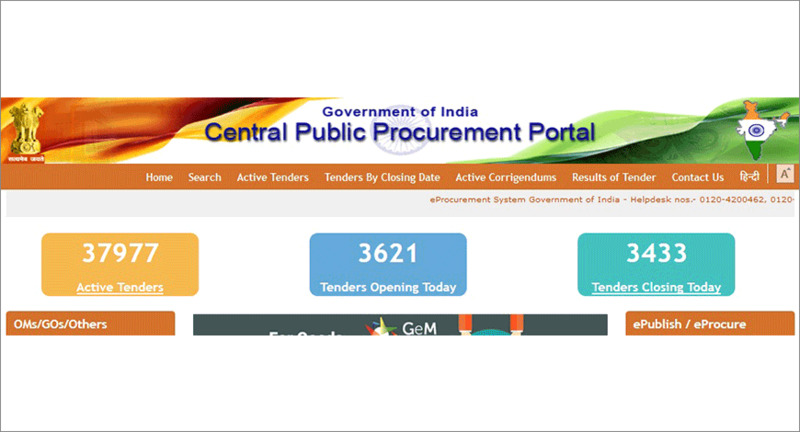 Advertisement in cases of tenders above a certain threshold, value should be placed on the Central Public Procurement Portal (CPPP), Government e-Marketplace (GeM) Portal, as well as on the websites of Ministries/Departments/organisations, said an office memorandum from the Ministry of Finance. According to the memorandum, the requirement of compulsory advertisement in newspapers as per the General Financial Rules (GFR), 2005 has been dispensed with, and GFR 2017 is applicable. The Finance Ministry has also requested other Ministries and Departments to provide year-wise details of expenditure on advertisements in papers and magazines for procurement, if any, issued by them. It has also directed the Ministries and Departments to provide the number of tenders year-wise where advertisements in the newspapers have not been made by them in accordance with GFR 2017. The deadline for submitting this information is March 31, 2018. Last year in May, the Ministry of Information and Broadcasting had issue an advisory informing about the new provision as given in the amended GFR 2017, in respect to tender advertisement for procurement of goods and services. “These rules have done away with the need for publishing advertisements in newspapers for procurement of goods and services,” the advisory read. E-publishing of advertisement on CPPP at www.eprocure.gov.in and on GeM has been made mandatory as per the amended GR 2017. “In case a Ministry/Deparment/Attached subordinate office/Field office, still insists that the advertisement should be published in newspapers, a request to DAVP should be sent in a signed letter stating that the competent authority has approved publication of newspaper advertisement(s) despite the new GFR provisions,” the advisory issued by I&B Ministry added. However, it also added a condition that only window advertisements should be published in newspapers along with publications on CPPP, GeM and the websites of respective organisations.